These hotels and resorts have been crafted into different categories so as to bring a complete comfortable environment for the guests according to their needs. These resorts have been categorized as luxury, deluxe, standard and budget that ensures 100% comforts amidst the lush surroundings. The different options of the hotels and resorts are meant for a complete and relaxing experience for you, according to your needs. Whether it's a luxury or a budget one, hotels in Corbett brings the restoring and rejuvenating effects on you and you can equally have all the funs and excitements at any of your preferred accommodations. Corbett Leela Villas, located 5 miles from Ramnagar Railway Station, promises for the most luxurious stay in the Corbett vicinity. With its pristine luxurious 12 cottages amidst the mangrove forests, Leela Villas is a perfect combo of raw natural & exotic living in the jungle. 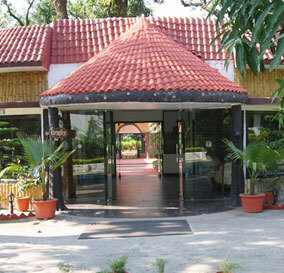 6 kms from Ramnagar Bus Stand and 7 kms from Bijrani Gate, the Infinity Resort is an in-house restaurant. Most magical resort in the arena, Infinity Resort offers the exotic and blissful ambience with luxury retreats. 45 cottages with plushy luxury amenities, Solluna Resort at the picturesque valley of Marchula is a true blend of luxury and natural elements. Uniquely derived from two words (Sol) Sun and (Luna) Moon, this resort offers lush landscape with comforting amenities. 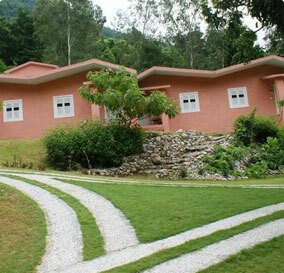 Aahana Resort at 11 acres of land brings a grand opportunity of feeling the striking experience of nature along with the typical Kumaoni hospitality. Aahana Resort is the perfect synonym for the top notch services, high-end residing and great hospitality in impressive vicinity. 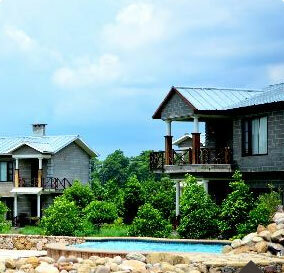 The Golden Tusk, an agro resort flanking around the Corbett Reserve, is located on the banks of the monsoon river Dhella. 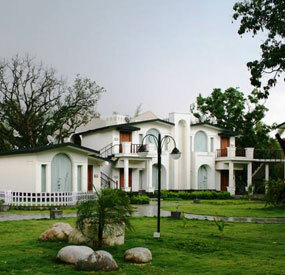 An exemplar luxury resort in the Corbett arena, The Golden Tusk is known for the holistic experience amidst the natural surroundings and rural attractions. 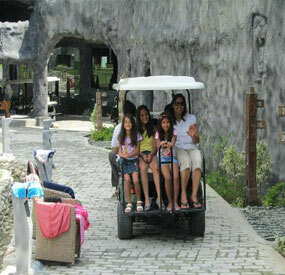 Brys Caves along the Corbett arena proves to be the perfect getaway from the hustle-bustle of the city life. Being named so, it brings the raw natural attraction in the form of caves with modern aesthetics with distinct hospitality features. Somewhere between the river and the road, under a canopy of stars, we invite you to leave behind the cares of the world and go within to the heart of serenity. 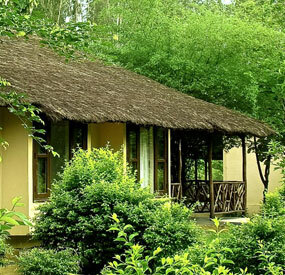 We invite you to The Hridayesh, the wilderness resort. 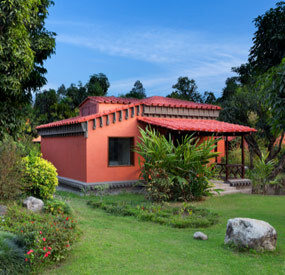 Located alongside the southern periphery of the Corbett National Park, 11 kms away from Ramnagar, the Jims Jungle Retreat is a paradise for all wildlife and nature enthusiasts. 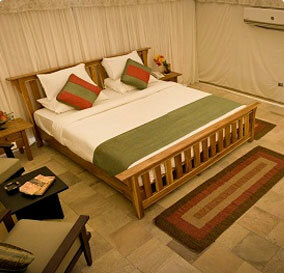 It offers various exciting holiday and theme travel packages to its guests. 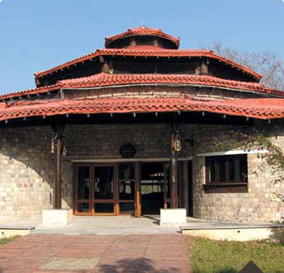 The Taj Gateway, earlier known as The Corbett Hideaway, is a lavishing property of Tata Group amidst the wild habitat of Jim Corbett National Park.